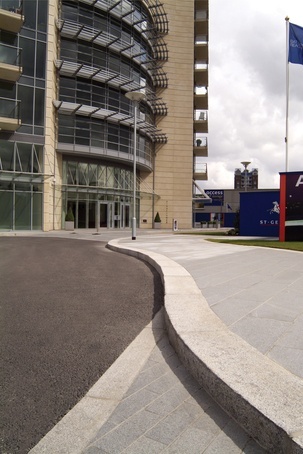 HIGH LEVELS OF PERFORMANCE COMBINE WITH FINE AESTHETICS TO PROVIDE LONG TERM HARD LANDSCAPING KERB SOLUTIONS FOR A WIDE RANGE OF PRESTIGE ENVIRONMENTS. Colour and size options allow matching to existing designs or innovative bespoke designs. 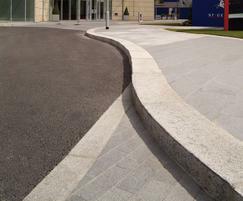 Natural Granite kerb is designed for a wide range of prestigious environments. Designed for use with Aggregate Industries granite paving and granite setts. Charcon is an Aggregate Industries business, and all products are manufactured in accordance with ISO 9001 with factory compliance to ISO 14001.